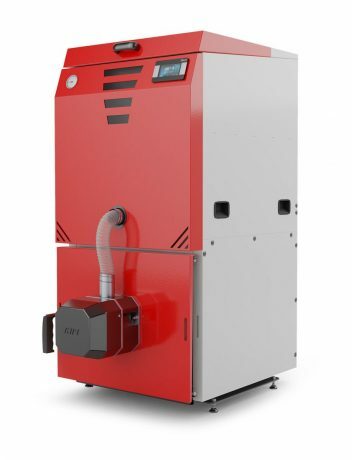 SlimKo a compact pellet-fired boiler based on a tube exchanger, meeting the requirements of class 5 and ecodesign. SlimKo is equipped with a high-quality pellet KIPI burner with automatic igniter, rotary chamber cleaning and a built-in fan. 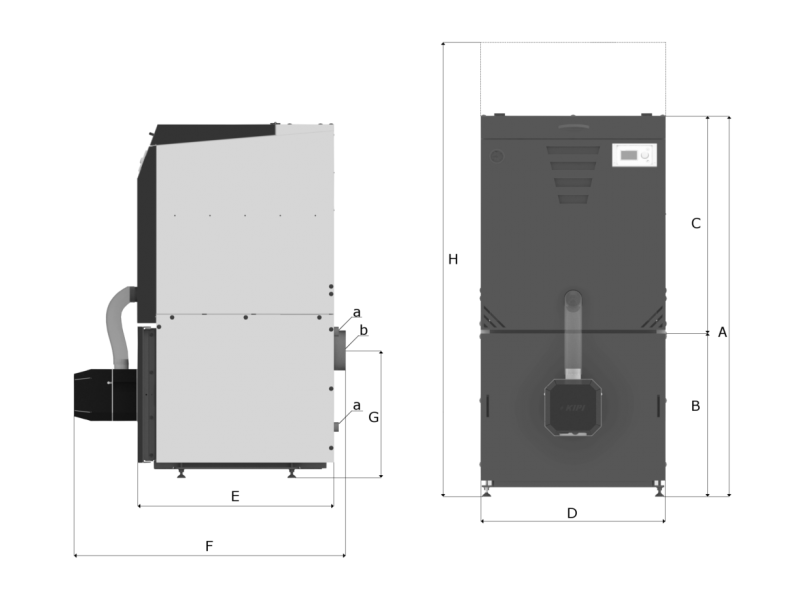 SlimKo consists of three basic parts − a pellet burner, exchanger, basket placed on the top of the boiler. With integral cooperation they provide unparalleled design and comfort of use. 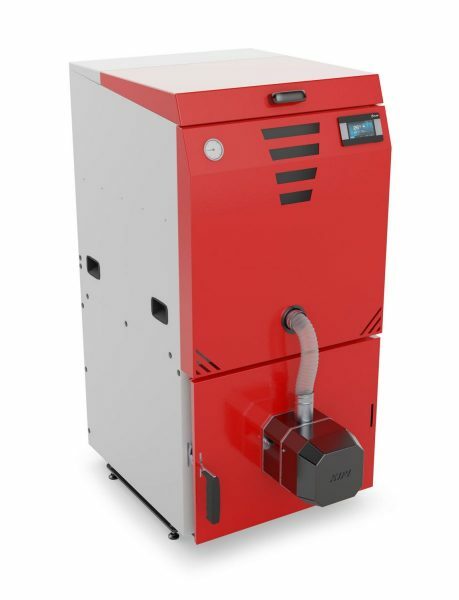 SlimKo boilers are equipped with a self-cleaning burner with a rotating KIPI combustion chamber. The combustion process is controlled by the next generation controller that controls the operation of the burner − automatic firing and extinction. Operation of the boiler is limited to periodic removal of ash from the ash pan and adding fuel in the basket. Fuel Pellets 6-8 mm, pips and granules in the fraction of 5-10 mm. C1 fuel class. It has a modular structure, ensuring BUS extension. The controller controls: boiler (burner) operation, supports basic central heating and hot water functions, mixer pump and mixer. 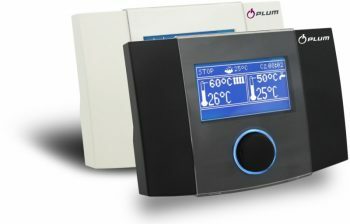 Additional modules enable cooperation with the buffer and mixer systems. In addition, cooperation with the Lambda probe module (ecoLAMBDA) is possible. The controller uses a smart Menu system. The system makes unconnected elements inactive (invisible). This solution allows easy and comfortable use. 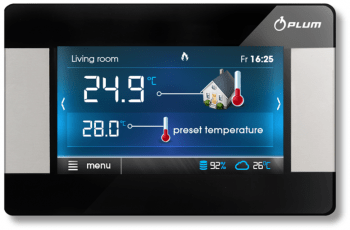 modern design (large graphic display and intuitive TOUCH & PLAY operating system) and cutting-edge patented features. The panel is available in many colors to suit your home. 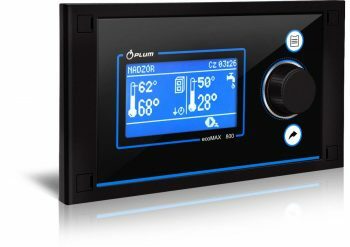 ecoLAMBDA is a modern electronic device designed to measure and control oxygen content in the exhaust gas. 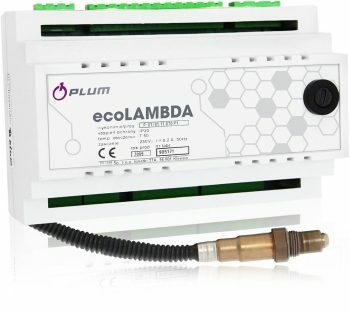 The ecoLAMBDA module is equipped with the next generation communication interface with which the measurement results are transferred from the module to the controller. 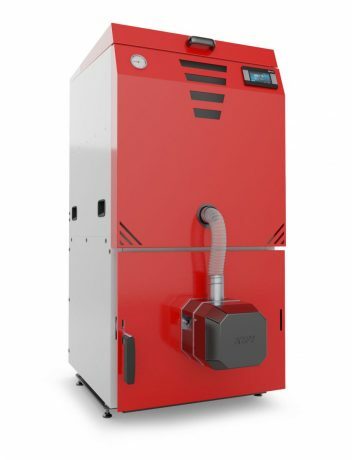 The effect of this is to ensure the optimization of the combustion process. Wyrażam zgodę na przetwarzanie przez PPHU Kotłospaw danych osobowych podanych w formularzu. Pana/Pani dane będą przetwarzane w celach związanych z udzieleniem odpowiedzi, przedstawieniem oferty usług. Administratorem podanych przez Pana/ Panią danych osobowych jest PPHU Kotłospaw z siedzibą ul. Szenica 38, 63-300 Pleszew.